Oil leak on left side of engine, no idea where it's coming from..
Was under my 07 base Vibe this weekend to change the oil and noticed oil residue and a couple of places where oil is dripping from, but I have no idea where it's originating from. No oil buildup on the belts, but nearly the whole left side toward the bottom rear is covered in oil residue. Anyway, here are some pics that speak for themselves. Any help would be appreciated! 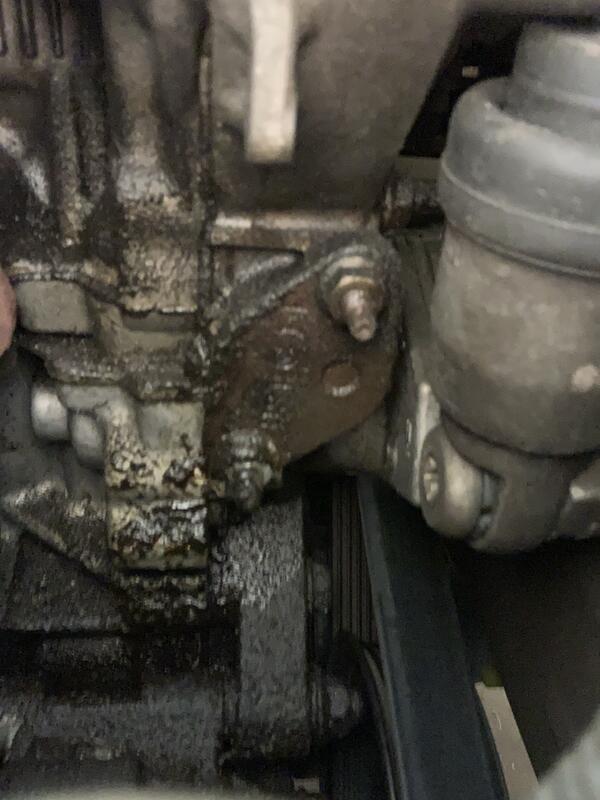 Re: Oil leak on left side of engine, no idea where it's coming from..
That is "left" when you stand in front of the car, correct? Typically that is referred to as the passenger side or right side. That's where the drive belt is. 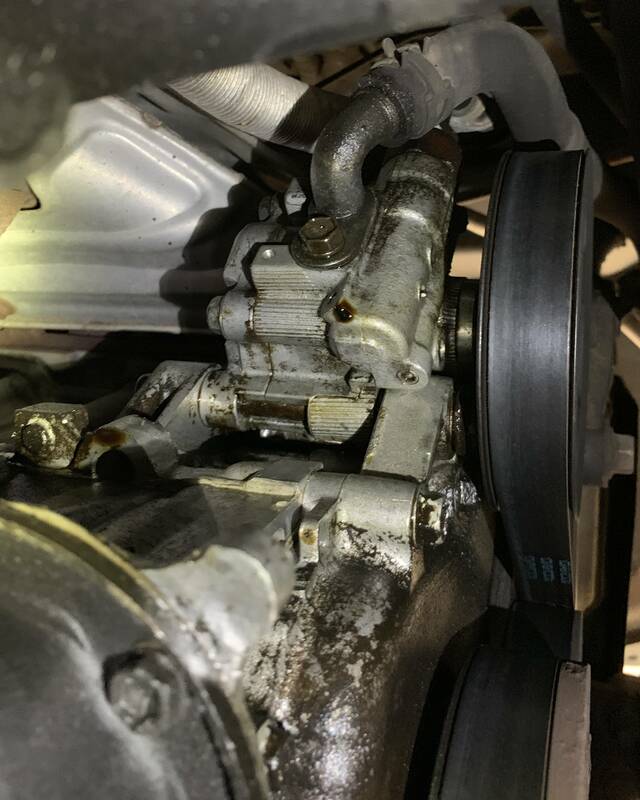 The most common oil leak is a failing O-ring of the timing chain tensioner on that side. "It is important to know the difference between 'accurate' and 'precise' even if you are neither!" I'd start with this suggestion. Next, if you haven't done it, is valve cover gasket. Those are prone to leaking. Yes, the passenger side! I'll go ahead change out the O-ring. Seems like an easy 20-minute, $5 job! Not sure if this photo will help but it shows the O-ring. This is from the 2zz engine and not sure if similar/same as the base engine. Peter Finn explains how to. Be patient watching....Peter knows his stuff. There are minor difference between the two, but they basically look the same. So I got a pic of the timing chain tensioner on the back of the engine. 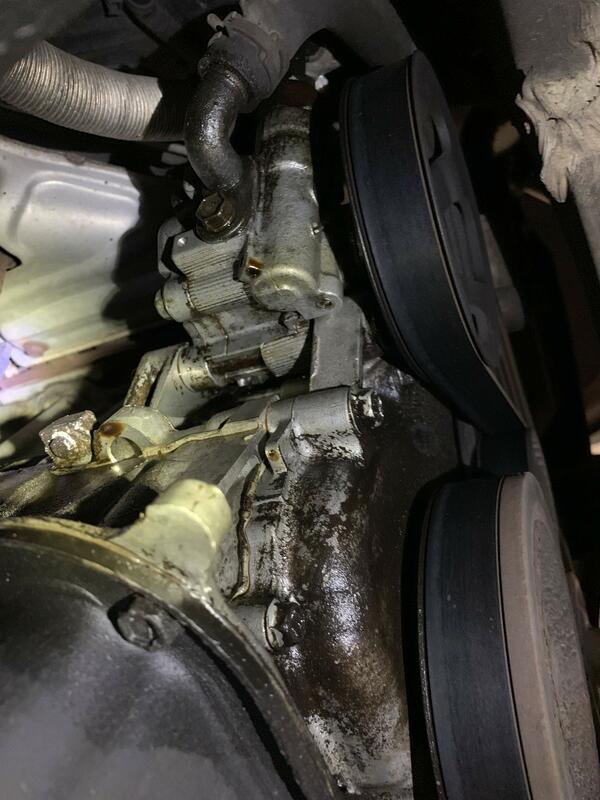 It looks like the leak is coming from higher up, but maybe the leak from the tensioner is getting splashed around? Or maybe it's the actual timing chain cover? i would do the valve cover gasket and timing chain tensioner o-ring. usually if the timing cover seal leaks, it is down by the crank pulley. I'd clean the oil off of the engine, then drive it for a bit, then look for the fresh oil. It's always a pain trying to track down an oil leak through months and years of splashing and garbage.